Ben & Jolanta Stokes, Hassocks, June 2018. Ben and I would like to say thank you to Hox Contractors for an amazing job. Steve, Jane and Jason have all been great to deal with. It has meant a great deal to us that the trades people who have worked on our project have all been very helpful, friendly, tidy and professional. The work that you have completed has been to an exceptional level. Being charged for each stage, what you quoted has allowed us to budget throughout the project without any unexpected costs. We are really pleased with everything, we can't say thank you enough. I would highly recommend you and your company to anyone looking for a professional and friendly building contractor. Roy Fisher, Brookworth Homes, August 2017. The team at Hox Contractors Ltd have built on our behalf, a two storey detached dwelling in Horsham. They have proven to be straight forward and pro-active in their approach, helpful and have worked to the agreed time frame and price. I would not hesitate in recommending them for a new build housing development's, as a one stop shop or in the sole capacity as a groundworker contractor. Kate Patterson, Brighton, February 2017. We have just had our kitchen extended by Hox. I think it is fair to say that the work was more complicated than initially expected, but thanks to the team's patience and flexibility they were able to complete the work within the original timescale. We are really happy with the extension and would highly recommend Hox for their quality, professional and friendly services. They are also super tidy which is an added bonus! Ian & Mark, Horley, December 2016. We have used Hox Contractors for small and large projects across our home in Horley, from bathroom re-fits, full garden landscaping and erecting an extension onto a home for a utility room and study. Steve and the team have been excellent throughout the process with fair pricing, quality advice and good communication along the way. We are really pleased with the outcome and finish of what has been achieved. 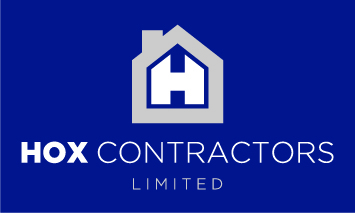 We would recommend Hox Contractors, you wont be disappointed.